SymantecTM Extended Validation (EV) SSL Certificates can be a key factor in helping increase customer confidence during online business transactions. 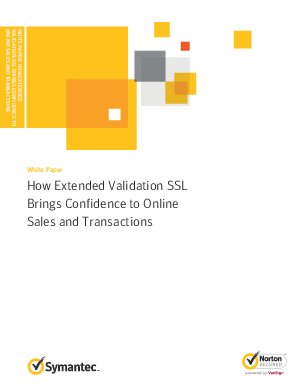 More confidence can mean more conversions for customers with EV SSL certificates. Symantec EV SSL turns address bars green in high-security browsers for an extra layer of website security that customers can see and trust.